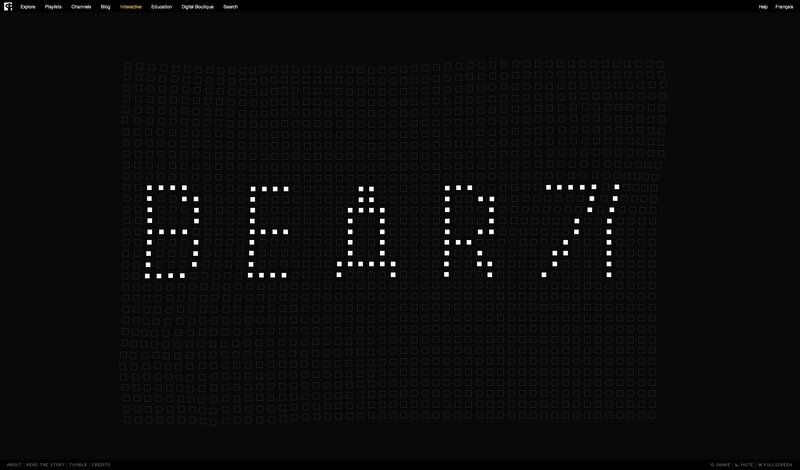 I was one of four developers for Bear 71. 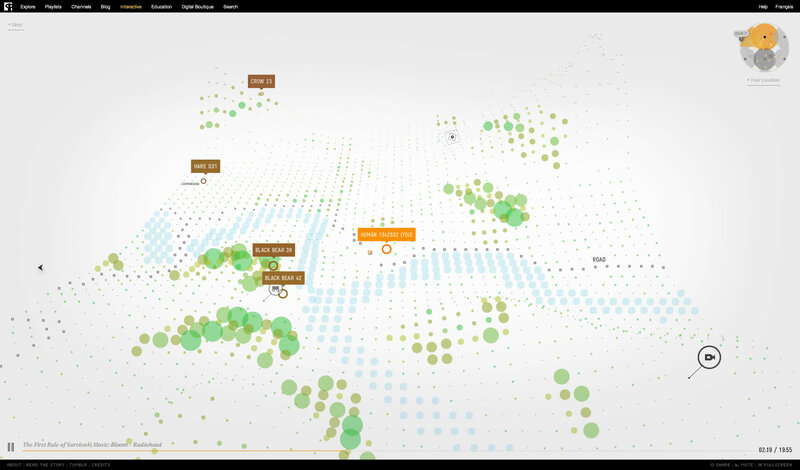 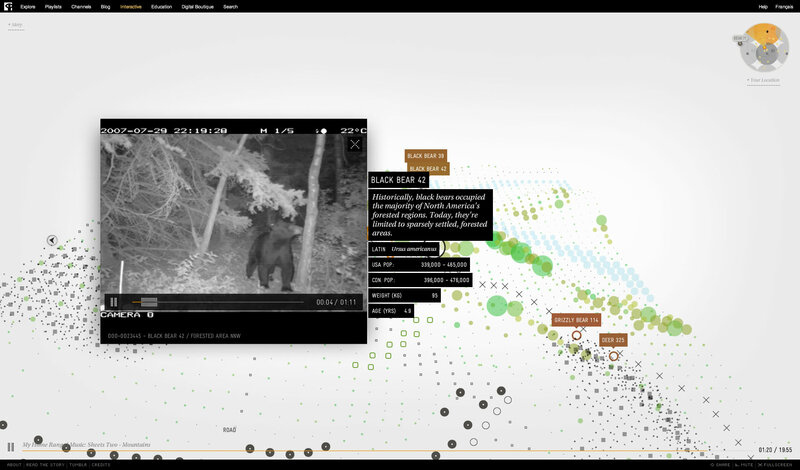 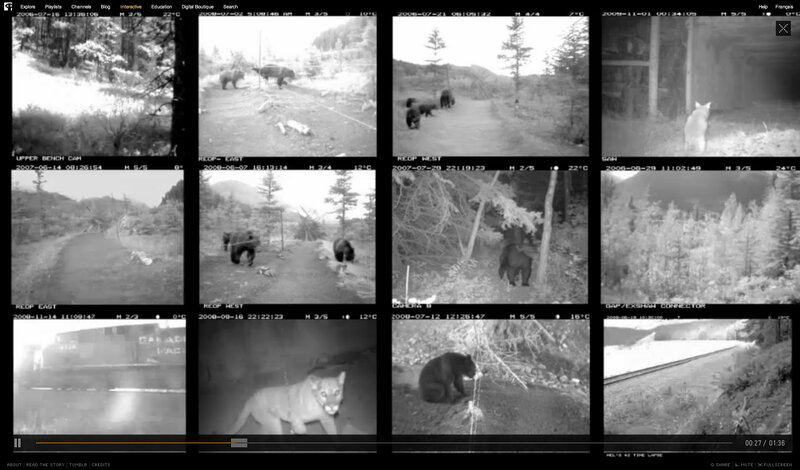 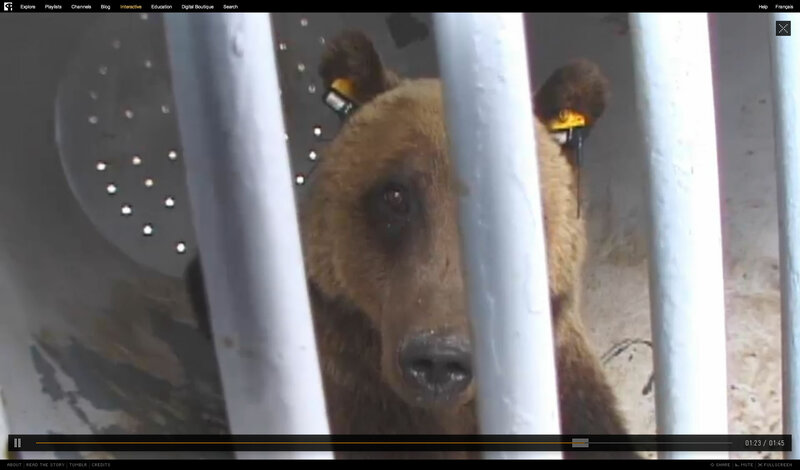 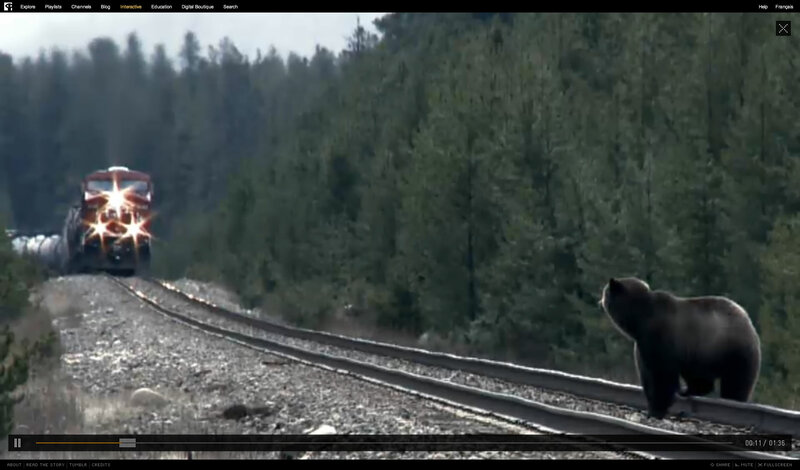 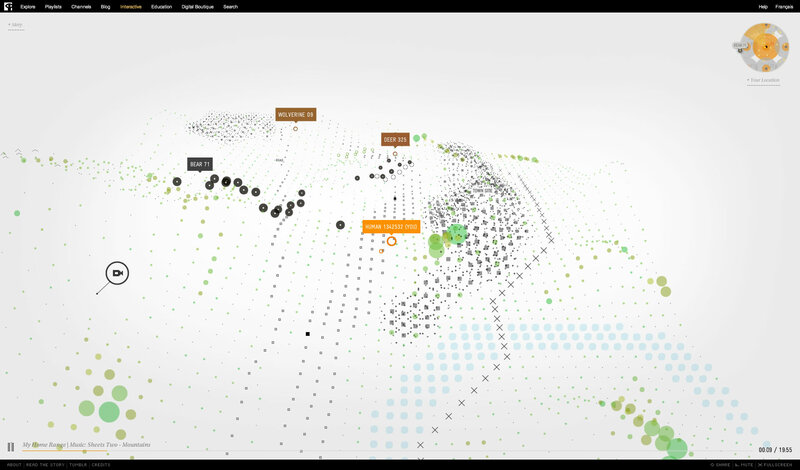 This site is a web documentary set in Banff National Park, that allows users to follow Bear 71’s movements and watch other users on the site over their webcam. 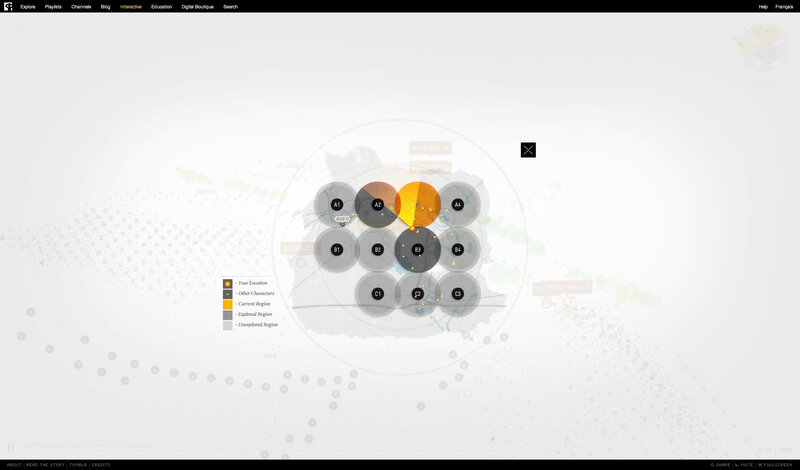 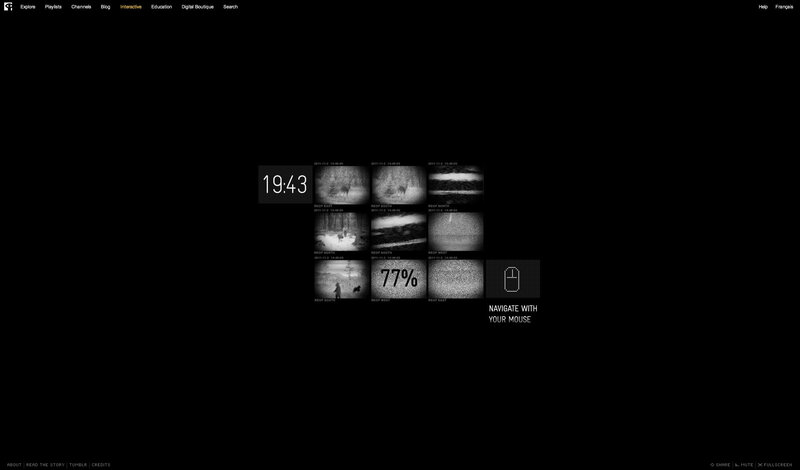 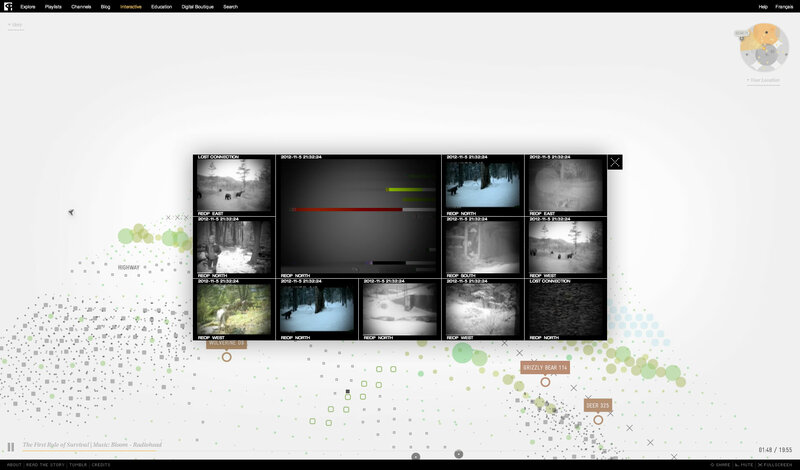 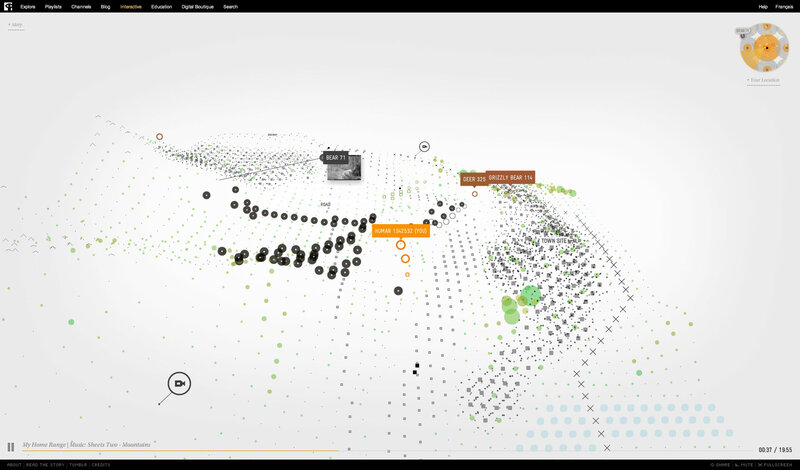 I developed UI for the site, which includes the character tags, caches, the surveillance wall and video players.